When I was a very little girl, my parents bought me a Cinderella costume for Halloween. I loved Cinderella; she was (and still is) my favorite Disney princess. I remember sitting and staring at the picture on the box – Cinderella on the night of the ball, standing in a shimmering silvery-blue gown with satin opera gloves, her hair swept up in an elegant twist and held in place with a wide black ribbon. I couldn’t wait to slide those long gloves up over my elbows and to feel the swing of that wondrously full, silky-smooth skirt. I can remember wondering how this box was going to help my hair to look like that, but I was sure that once it was opened, all would be made clear. But this was the 1970’s, and if you were around in the 70’s, you know what’s coming next. When I opened the box, I found not a beautiful ball gown with reams of luxurious fabric – I found a plastic sheath with a picture of Cinderella printed on the front. And there was no stylish Cinderella up-do – there was a plastic mask with a black band and yellow hair painted on the top. You know those masks – the ones with the elastic band that always snapped and popped you in the ear, the masks that made it hard to breathe and made your face so hot you had to take them off halfway through your trick-or-treating. So, sadly, I was not the picture of elegance I had hoped to be that year; I just walked around in my plastic tube, my face red and sweaty behind that smiling Cinderella mask. This, of course, is the time of year for masks of all kinds. Some of them are bejeweled and beautiful, some of them are gritty and realistic, but most of them are just frightening. My silly plastic Cinderella face notwithstanding, most Halloween masks are intended to scare the pants off of our friends and neighbors. Certainly the most famous Halloween masks are the most terrifying ones – the melting spectre masks from the movie Scream, the ghostly white guise of Michael Myers, Jason’s hockey mask, even the sinister smile of Guy Fawkes in V for Vendetta. And then, of course, there is the most disturbing of all mask scenes, from the latest Batman movie, when the late Heath Ledger as the Joker takes off his creepy clown mask to reveal…his own creepy clown face. In his case, the mask didn’t conceal anything, except for the fact that the dark mask and the dark face were exactly the same. I wonder if you noticed the dark masks in today’s Gospel reading. They aren’t the masks of monsters or villains, but they are menacing all the same. They are easier to spot in the verses that immediately follow today’s reading, where Jesus proclaims woe to the Pharisees, woe to those who do not do as they say, woe to the hypocrites. Here are the dark masks, the masks of the hypocrites. The Greek word hypocrite that Jesus speaks here was a term used primarily to describe masked stage actors; it comes from two Greek roots that together mean, essentially, under-distinguished or less-than-sorted. A hypocrite was one whose identity was difficult to distinguish because of intentional deception. In the case of these ancient Greek actors, of course, the deception was harmless, a part of the evening’s entertainment, and the more complete the deception, the better. But the Pharisees’ deception is different; the Pharisees’ masks are real trickery, hidden and harmful. Jesus calls the Pharisees hypocrites because while they say the right things, they do not do the right things. They do not act as they teach; they do not practice what they preach. They may preach the good news of binding up the brokenhearted and proclaiming liberty to the captives, but then they “tie up heavy burdens, hard to bear” and lay the bruising weight of an over-scrupulous legalism upon the shoulders of their followers. They may teach that the law of the Lord is one that is written in the heart, but then they make the fringes of their prayer shawls long and their prayer ostentatious. And the Pharisees may say, “Do justice, love mercy, walk humbly with your God,” but then they walk right up to the head of the table, to the seats of honor in the synagogue, trying to draw as many admiring looks as possible along the way. They say one thing and do another; they are hypocrites. They wear the mask of piety, the mask of humility, the mask of faithful, God-loving, commandment-following Jews, but under that mask their faces are red and sweating with the effort of trying to inhale as much stuff, as many accolades, as they possibly can. They wear masks as they preach the word of God, which is truly terrifying. What is even more terrifying is the thought that we might do the same thing. There is, as I’m sure you know, ample evidence that the world out there thinks that this is exactly what we Christians do. For example, in 2007, the Barna group conducted a survey of young people, aged 16–29, about their perceptions of Christianity in America. The results were staggering. Within the portion of the survey group who self-identified as non-Christian, 85% stated that they perceived Christians as being fundamentally hypocritical. 85%. Well, but those are non-Christians, we say, the number must be different among believers. It is, it’s lower – only 50%. So 85% of young people who aren’t Christian think we’re hypocrites, and fully half of young people who are Christian still think we’re hypocrites…and I know that this survey is four years old, and I know that survey data can be manipulated, but look around you. There are thousands of 16-29 year-olds in Philadelphia. Where are they? Some of you are here, and I thank God for you as I do for all of you Gen-Xers and Boomers and others. But there is space in our pews, there is room in our budget for more Christians here; we need people from all of these generations at St. Mark’s as much as they need the Gospel that we proclaim. But if this survey is even close in showing us the depth of the world’s spiritual malaise and cynicism about Christianity, how do we convince that world that we’re for real? If those who are not here yet see us as hypocrites, if all that they see are masks, how do we show them who we really are? I think that there is only really one way to do this, and it isn’t to try to convince them – or, frankly, to convince ourselves – that we don’t have masks on at all. I don’t think it does much good to say to those who are not here yet, “Hey, come on in, we look exactly like you!” Because we don’t. I mean, look at us. We wear instruments of Roman torture around our necks, we kneel and bow and genuflect and sing in a culture that sees none of that as particularly normal, we appear to the world as a community shaped not by what we know or how much we have but by who we love. Some of us even wear long fringes. We do not look like the world. We do wear a kind of mask, we do put on a Christian identity here in our liturgy, in our prayers, when we recite the creeds, when we renew our baptismal vows, when we take, eat and drink this all of you. But these are not the dark masks of the hypocrite. They are not masks intended to deceive or to conceal. Because unlike the Pharisees, we not only look different, we are different. What we have to do, what we must do, is show the world that our masks and our faces look exactly the same. 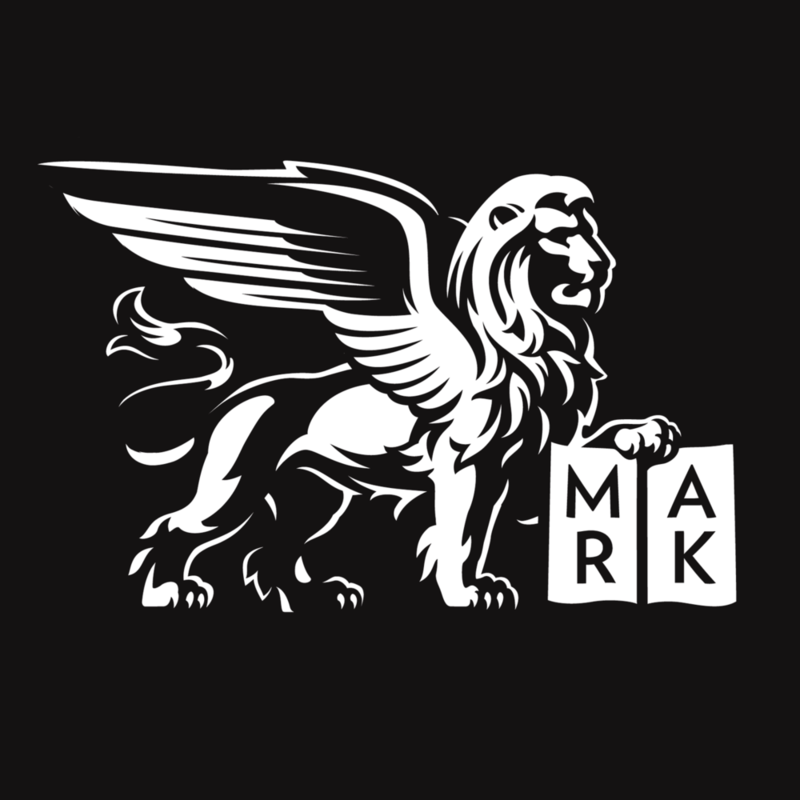 So then here is the question for Saint Mark’s today – if we were to take off our masks, what would we look like underneath? For example, if we were to take off the bejeweled, beautiful mask of our liturgy, would we still look the same? When we leave this sacred space, do we carry with us a deep honor and reverence for the stuff of the world around us, do we still bow our heads before the holy in our ordinary and genuflect before Christ in each other? Or if we were to take off the gritty, realistic mask of our service in this place and around the world, would we still look the same? When we leave the soup bowl or the food cupboard or St. James the Less, do we still live generously in the rest of our lives, giving of our time, our money, our prayers – are we still dedicated to the kind of concern and advocacy for those who carry heavy burdens in this world? Beneath the masks of our liturgy, our service, our prayer, our adoration, our giving, our learning, do we look the same? Do we let these faces of Christianity shape what we look like on the inside? Posted on October 30, 2011 by Erika Takacs.